Believed to be first cultivated about 8,000 years ago in Peru, peanuts pack in a lot of goodness – plenty of proteins, healthy carbs, and as many as 30 key nutrients. 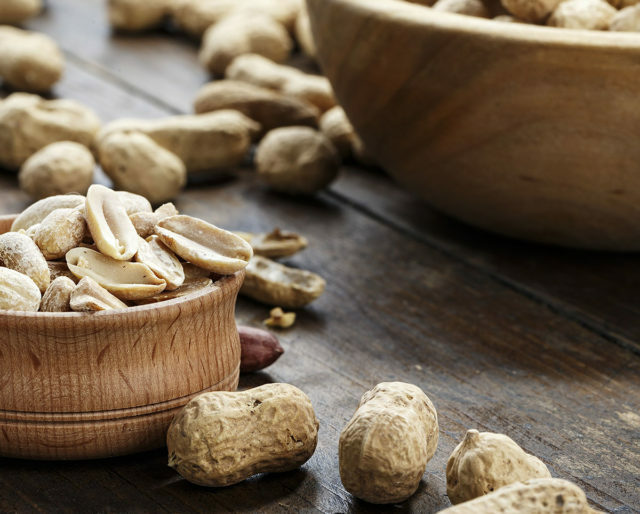 They are good for your heart as well as your mental health, and there are plenty of ways to use peanuts – George Washington Carver came up with 300! Given their goodness, it makes sense to have an entire month dedicated to them. Here’s to March, the National Peanut Month! Peanut week is extended to a whole month in 1974 and celebrated every year, hence. The first peanut week is observed in 1941, thus promoting this fantastic legume. Dr. Kellogg invented a process to make peanut butter using raw peanuts. Africans introduced the Americans to peanuts in early 1700s. Chuck that bag of popcorn and that tub of ice-cream and instead, binge healthy while binging on Netflix. Get your gang together and buy double peanuts for more fun. You could make delicious Tagalongs, or indulge in a good-old peanut-butter and jelly sandwich or two. While we're on the subject of making, why not get adventurous and make Nut Liquor? Legend has it that it's vodka flavored with peanut butter. Peanut allergies are one of the most common allergies around the world, and they can be fatal. Help scientists understand more about peanut allergies by donating to FARE (Food Allergy and Research Education). A little help goes a long way. More than 3 million people in the US alone suffer from depression and related mental illnesses. Peanuts contain tryptophan, which aids the release of serotonin, a mood-enhancing hormone. The next time you are feeling low, try munching on some roasted peanuts. Roasted peanuts, peanut butter, peanuts in praline – there are countless ways to include peanuts in your diet. For example, try peanut oil for a healthier alternative to vegetable oils. Despite the name, peanuts aren't nuts at all. They, in fact, belong to the legume family, and grow underground.